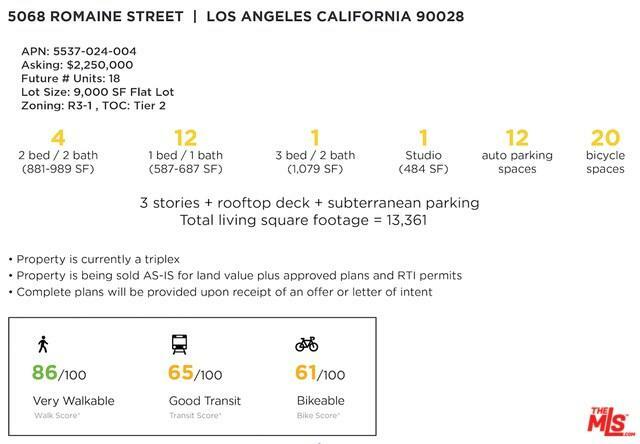 Developers, Builders, and Investors, here is your opportunity to develop an 18-unit apartment building located in one of L.A.'s most promising rental markets and rapidly developing communities. East Hollywood carries close to 100,000 residents, of which 91% are renters. It has excellent walk scores, good public transportation, and revitalization happening everywhere you turn. A great opportunity to get into a centrally located pocket of the city that is booming. 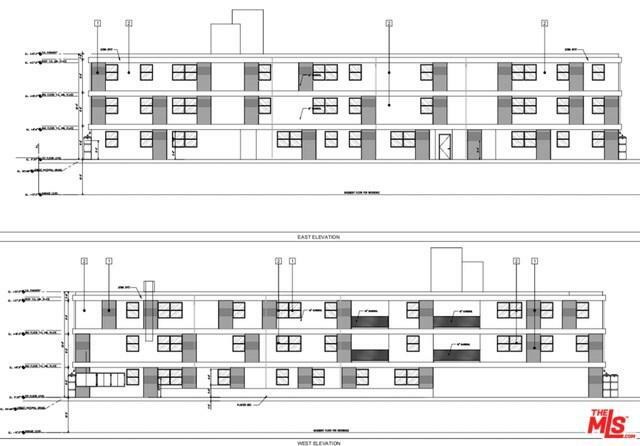 All plans and permits delivered approved and RTI ready to issue - start building at close of escrow!